The 3rd National Joint Conference of Librarians of Color in 2018, “Gathering All Peoples: Embracing Culture & Community” is taking place September 26-30, 2018 at the Albuquerque Convention Center in New Mexico and is sponsored by the five ethnic affiliate associations of the American Library Association (ALA): the American Indian Library Association (AILA), the Asian/Pacific American Librarians Association (APALA), the Black Caucus of the American Library Association (BCALA), the Chinese American Librarians Association (CALA), and the National Association to Promote Library and Information Services to Latinos and the Spanish Speaking (REFORMA). 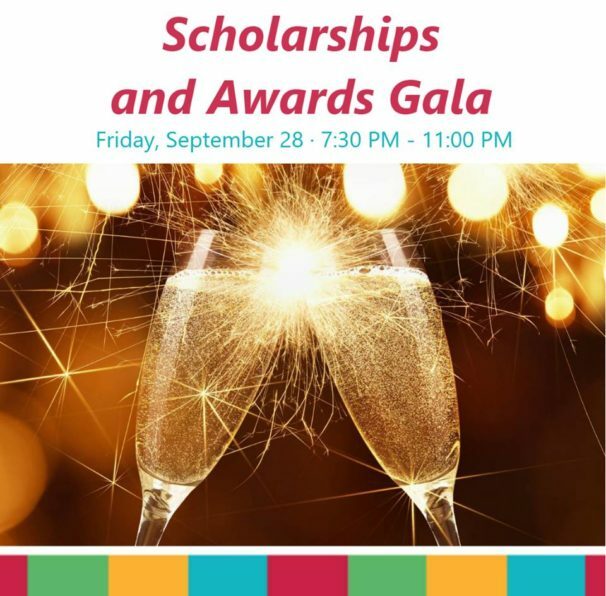 The JCLC 2018 Scholarships and Awards GALA will be held on September 28. Hundreds of participants will be attending the beautiful night of pride, local cuisine, and music. As a community, they will celebrate the conference and honor individuals selected by each of the five ethnic affiliates to receive JCLC Advocacy Awards, JCLC Distinguished Service Awards, JCLC Author Awards, and JCLC scholarships. In addition, JCLC Legacy Awards and JCLC Rising Leader Awards will be presented at the JCLC 2018 Closing Brunch on September 30. Go to https://www.eventscribe.com/2018/JCLC/ for more details. The Advocacy Award recognizes demonstrated commitment in support of library and information services to the profession and/or community of users. The Author Award recognizes an outstanding contribution to the body of ethnic literature. The Distinguished Service Award honors a professional who has worked for the improvement of LIS services to her/his ethnic community of users or organization. The Legacy Award honors a senior or seasoned professional who has been a dedicated professional and served 20+ years in the profession. The Rising Leader Award recognizes a promising future leader who has less than ten years of experience in the profession. 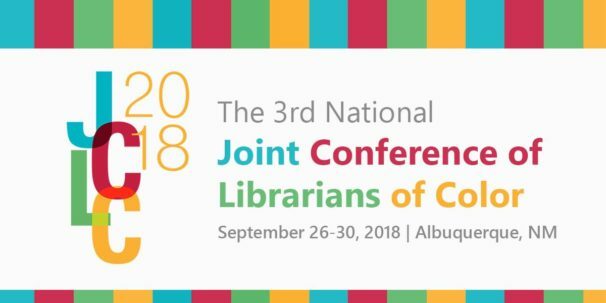 We wish to acknowledge other entities that supported the 2018 Joint Conference of Librarians of Color by selecting their own scholars or providing travel grants to participate in this Conference: American Dream Literacy Initiative; American Indian Library Association (AILA); ALA Office for Diversity, Literacy and Outreach Services; Association of College and Research Libraries (ACRL); Association for Library Collections & Technical Services (ALCTS); Association of Research Libraries (ARL); Black Caucus of the American Library Association (BCALA); Center for the Future of Libraries; Chicago Public Library; Chinese American Librarians Association (CALA); Library Information Technology Association (LITA); Public Library Association; San Jose State University iSchool; Spectrum Scholarship Program; Virginia Library Association; and the We Here community. The American Indian Library Association (AILA) is a membership action group that addresses the library-related needs of American Indians and Alaska Natives. AILA was founded in 1979 in conjunction with the White House Pre-Conference on Indian Library and Information Services on or Near Reservations. AILA members are individuals and institutions interested in the development of programs to improve library and information services in all types of libraries that serve Indian communities. Founded in 1980, the Asian/Pacific Librarians Association (APALA) was incorporated in Illinois in 1981 and formally affiliated with the ALA in 1982. A predecessor of APALA, the Asian American Librarians Caucus (AALC), was organized in 1975 as a discussion group of the ALA Office for Library Outreach Services reflecting the interest in library services to minority communities and professional support of librarians of minority ancestry that prevailed in the ALA in the 1960s and 70s. APALA and AALC, before it was organized/founded by librarians of diverse Asian/Pacific ancestries, committed to working together toward a common goal: to create an organization that would address the needs of Asian/Pacific American librarians and those who serve Asian/Pacific American communities. The Black Caucus of the American Library Association (BCALA) serves as an advocate for the development, promotion, and improvement of library services and resources to the nation’s African American community. Founded by ALA Past President E. J. Josey in 1970, the organization provides leadership for the recruitment and professional development of African American librarians, and also serves as a clearinghouse for information about Black Librarians in promoting their wider participation at all levels of the profession. Chinese American Librarians Association (CALA) Chinese American Librarians Association (CALA) started in 1973 as Mid-West Chinese American Librarians Association, a regional organization in Illinois. A year later, Chinese Librarians Association was formed in California in 1974. In 1976, Mid-West Chinese American Librarians Association was expanded to a national organization as Chinese American Librarians Association. By 1979, CALA had five chapters in Northeast, Mid-West, Atlantic, Southwest and California respectively. Chinese American Librarians Association and Chinese Librarians Association were merged in 1983. The merged organization retains CALA’s English name and Chinese Librarians Association’s Chinese name 美國華人圖書館員協會 (hua ren tu shu guan yuan xie hui). Dr. Arnulfo Trejo founded REFORMA in 1971. As an affiliate of the ALA, REFORMA has actively sought to promote the development of library collections to include Spanish-language and Latino oriented materials. The organization works to recruit bilingual and bicultural library professionals and support staff, and the development of library services and programs that meet the needs of the Latino community. REFORMA supports efforts to educate the U.S. Latino population in regards to the availability and types of library services, as well as efforts to preserve existing library resource centers serving the interests of Latinos.